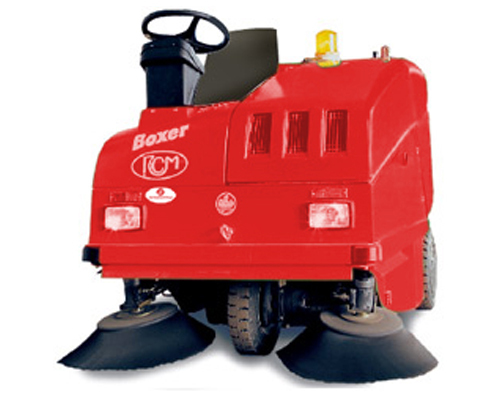 The Boxer range offers 7 different medium-large sweepers for professional cleaning. Boxer, with its 240 I capacity hopper, is available battery powered and in 4 different engine versions, Diesel, LPG and petrol. Superboxer, with oversize hopper, vacuum and filters for the most difficult applications, is available in Diesel and battery versions. Its simplicity to use and maintain, its reliability and low running costs make Boxer particularly suitable for hire.